The start of March Madness 2019 has basketball fans everywhere intently watching the action. One member of the Cleveland Cavaliers who has tuned in is big man Larry Nance Jr.
One player who caught Nance’s attention was Murray State University guard Ja Morant, who delivered a rousing debut in the NCAA tournament on Thursday. Nance’s response to Morant’s performance is an understatement. 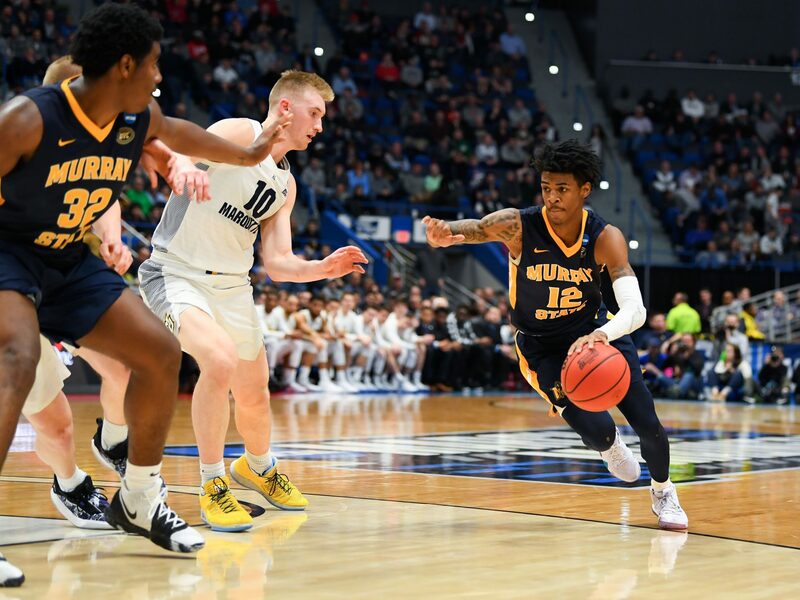 Morant’s triple-double effort helped lead 12th-seeded Murray State to an 83-64 upset win over fifth-seeded Marquette University. Morant scored 17 points, dished out an eye-popping 16 assists and also grabbed 11 rebounds in the first round of the tournament. The performance offered a strong example of why Morant is expected to be a high lottery pick in June’s NBA draft. That’s despite some criticism that the level of competition he has faced serves as the reason for his season averages of 24.6 points, 10.0 assists, and 5.5 rebounds per game. His lottery pick status puts him in contention to be selected by the Cavaliers, who are all but guaranteed to be picking near the top of the draft this spring. If the Cavs were to select Morant, their backcourt of Morant and Collin Sexton would likely be one of the best young duos in the league. The Murray State win advances Morant’s Racers into the second round of the tournament, where they’ll face the the fourth-seeded Florida State University Seminoles. Nance figures to check out that game as well.